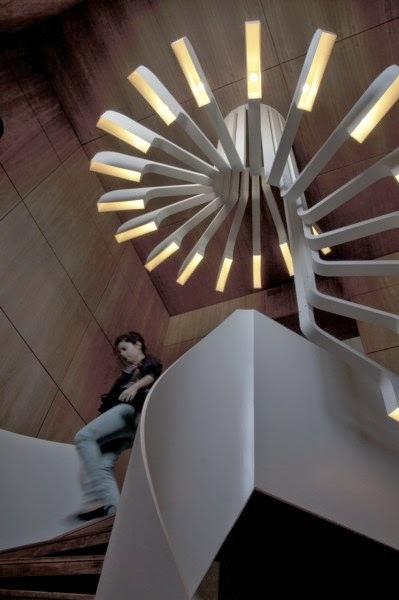 Spiral Staircase Lighting - a unique spiral stairs, lamp, created by the experts of the Lebanese architectural studio . PSLAB . Beirut (Lebanon). 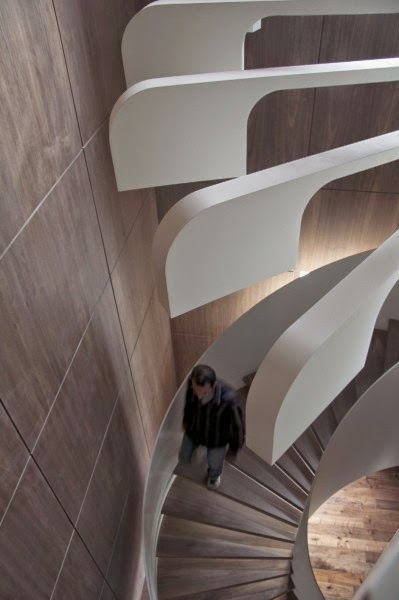 Elegant futuristic structure is in a rectangular space, all the walls, floor and ceiling is decorated with a natural wood colors, creating a warm and intimate atmosphere. 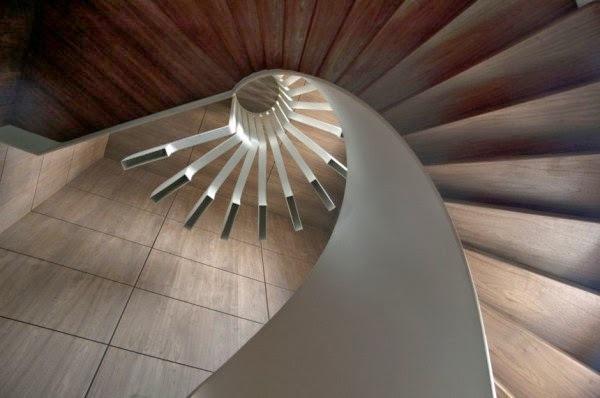 Rounded shape of the spiral stairs begin their journey on the first level and finish at the last smoothly impersonating an exotic glowing "flower", which gently and mysteriously illuminates the entire vertical lift. 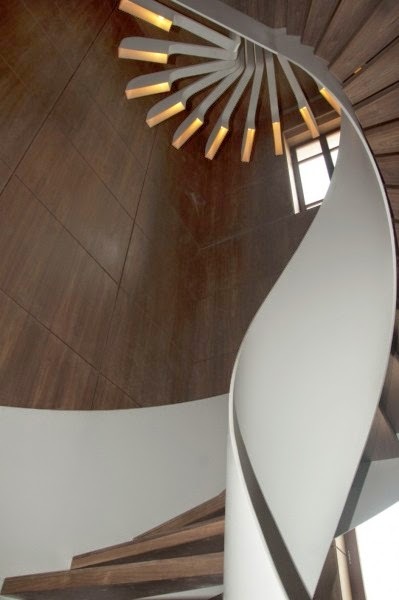 The author`s objective was to create an integrated dynamic and aesthetically unique structure with mutual integration functions - lighting features and functions moving from floor to floor. with the work of the authors of the project can be found by visiting the official website of the architectural studio.